I just finished early Sunday morning (25 Sep 2016) after being there since 4pm Saturday. About 14 hours on set. Super tired. But I think I should get seen a few times in different scenes, so...cool! I'll post more soon, but the title was 'The Vast of Night' which I'm thinking is a working or 'secret' title for when the film really comes out. It was an indie movie, but has some people who are established actors in it. 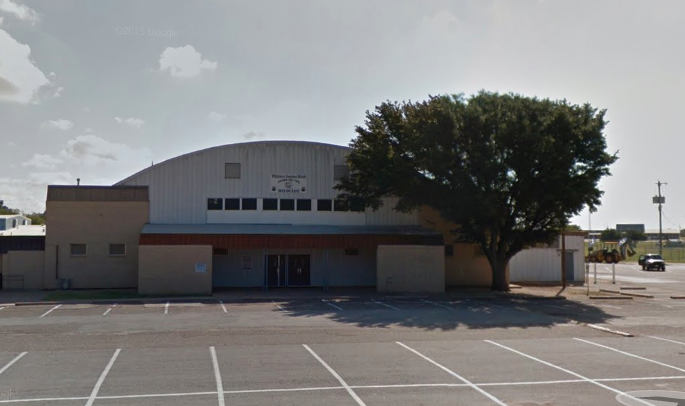 The location was in and outside of Whitney, TX Intermediate School shown here. Don't want to reveal movie details ahead of time, of course. What I can say is that the gym there, shown above, was an old hangar from a nearby Air Force field that was supposedly donated by the military and the townspeople numbered it, took it down, and re-assembled it by using the numbers. There were some cool old cars used as well. More details soon. Will update with my selfie from on set.